The CC-Link Partner Association (CLPA) has major developments to unveil at the SPS IPC Drives 2013 Fair, Nuremberg, Germany, 26–28 November 2013. It is announcing the appointment of the first European member to its board of directors and the expansion of its Gateway to China business support programme to cover all of Asia. 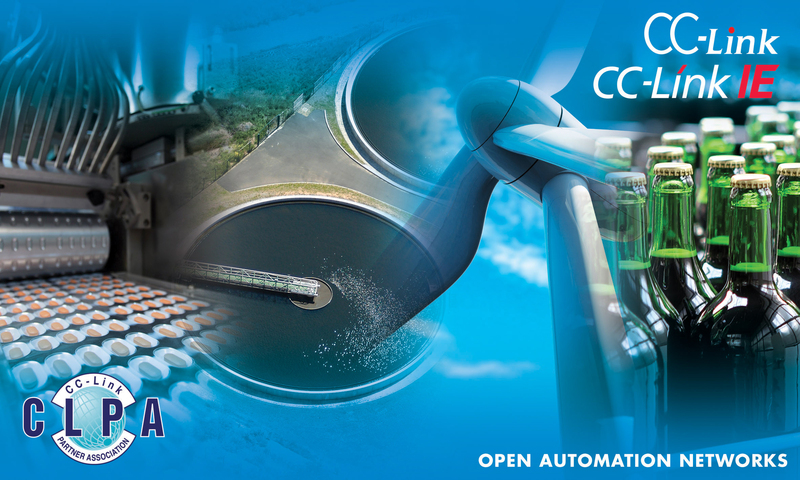 CC-Link is an open automation network technology used extensively throughout Asia. It allows field devices of many different makes to be used together on the same control network. The CLPA manages CC-Link development and promotes its adoption on a worldwide basis. Gateway to Asia (G2A) is the expansion of the CLPA’s proven Gateway to China programme to embrace Japan, Korea, Taiwan and India, and other growing economies in the region. The G2A supports European automation companies to develop their business in Asia through promotional activities such as exhibitions and advertising, business introductions, development and technical support for CC-Link products, and local support. “G2A provides a bespoke service for each client, that reflects their needs and development plan,” explains Browett. “It will help European companies accelerate their business ambitions throughout a very exciting region of the global economy by using CC-Link’s market leading position as an enabling technology. "We are also in the process of forming relationships with similar organisations to the CLPA in Europe with the aim of delivering the G2A programme benefits to their members." "Many European members of the CLPA have already participated in the G2C programme, including Balluff GmbH, which has just been announced as the first European company to join the CLPA’s global board of directors. Balluff is a sensors and automation company, headquartered in Germany with worldwide production and distribution. Becoming a CLPA board member is a significant commitment, so their decision to join the board of the CLPA is a clear indication of the increasing importance of the technology to European companies such as Balluff and their customers. Open automation networking technology is becoming more and more global. Until recently, technologies tended to have regional strengths, but increasingly the major players are expanding so that they are well-represented in the three major industrial regions of Europe, Asia and North America. Balluff joining the CLPA management board is a clear indication of this trend, which is expected to continue for some time to come.